The rule of thumb when visiting the oftentimes free, protected areas known as national parks is that you leave footprints and take memories, or some other equally cringey phrase. 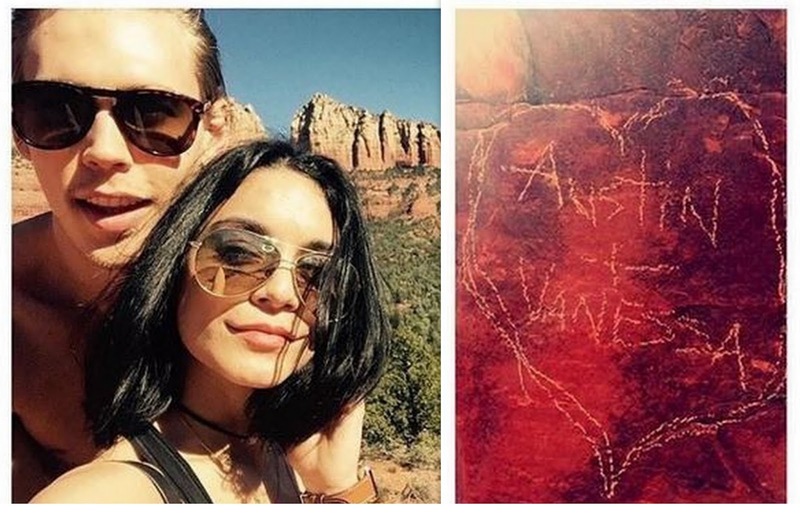 For 27-year-old singer and actress Vanessa Hudgens and her 24-year-old boyfriend, actor Austin Butler, that rule was disregarded for the sake of love. After all, it's common knowledge that the rule of thumb for stars is that their love usurps all. As a side note, it's quite hard to convey sarcasm in writing. After posting a picture of a crudely-drawn heart to Instagram under #sedonadream, the couple were sought out by Arizona police. Vanessa readily admitted to the defacement and even pointed authorities in the right direction towards locating the etching. The post was made to commemorate Valentine's Day, but was later removed once the authorities began swooping down. The defaced red rock is located in Coconino National Forest in Sedona, Arizona. Spokesperson Brady Smith, speaking on behalf of Coconino National Forest, says that the heart has not yet been definitively identified within the 250-square mile Red Rock Ranger District. Smith believes that researching social media will play a big part in this case. Damaging an asset on U.S. Forest Service land is a misdemeanor resulting in a fine up to $5,000 and potential jail time.Vanessa's fine was given to volunteer group Friends of the Forest, who work to maintain and preserve the beauty of the Red Rock District.